Once you select a class, you will be asked to login or create an account if you do no already have one. 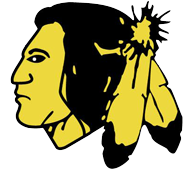 If registering a Warroad Public Schools student (including children ages 0-5 who are not yet in school but who have been included in the district census)- we have already created an account for you using information in the Student Information System. Once logged in, we recommend changing your password. If registering an adult, or for a student who does not attend Warroad Public Schools- please create an account when directed to do so. Step 1: Click "Start Your Athletics Registration" on the home page. Select your desired sport under your school name, complete all forms, and pay with Visa, Mastercard, Discover, or American Express. If you qualify for Free or Reduced lunch, please select the appropriate option under each sport. Step 3: When you are presented with a receipt, you're done! The receipt will also be emailed to you.